Today (hat-tip The Daily Signal) Republican Gov. 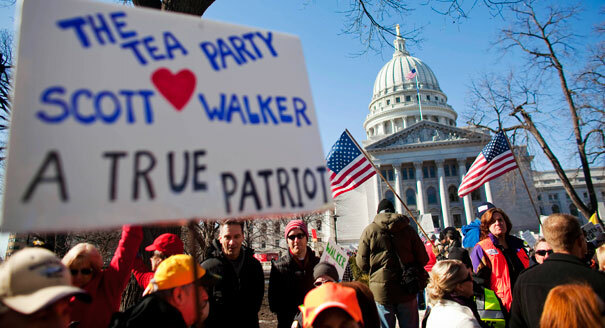 Scott Walker signed legislation making Wisconsin the nation’s 25th Right-to-Work state. Yea governor! 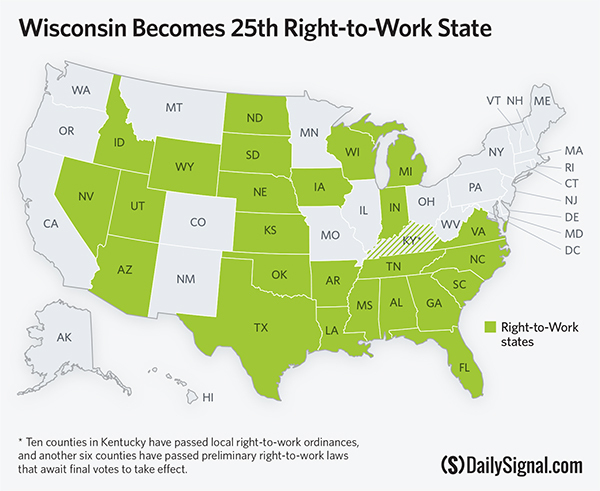 Remember, Wisconsin is one of the bluest of blue states (heavily Democratic, liberal progs who are union entrenched) so this is quite an achievement. In non-Right-to-Work states if only 51% of workers vote to unionize, 100% of employees must pay dues in perpetuity. Obviously businesses are more likely to locate in R-t-W states because the unions are less likely to target companies with satisfied workers. I started paying more attention to Right-to-Work issues in 2011 when Boeing opened their Dreamliner plant in North Charleston, SC in a protest move (that made good business sense) after the workforce refused to an agreement by the unionized company, that they could not strike for 10 years. South Carolina got the plant and created some 3,800 new jobs! Naturally the National Labor Relations Board (controlled by Democrats) sued Boeing charging unfair labor practices. The NLRB (“National Labor Retaliation Bullies” later dropped the suit after Boeing agreed to build another plant in Washington. So who won? Well anytime workers are not forced to fork over union dues when they don’t see benefits from the union or more likely, when they don’t have any say in how the unions spend that dues money, it’s a good thing. As more and more states feel the weight of their unfunded pension liabilities we will see more and more Right-to-Work States. 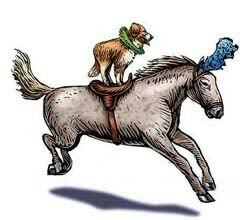 I wonder if the IRS’s new crackdown on tax preparers came out of the dog ‘n pony show called the ‘Job Summit’? You know the one that the US Chamber of Commerce and the National Federation of Independent Businesses were NOT invited to? Certainly you understand how it’s much more important to invite the unions and special interest groups, oh yes and Obama’s campaign contributors in time for the next election. Almost every tax preparer I know is self-employed and most do it as a side job to earn extra income. It’s not exactly a cush job with great hours either. The work comes all at once (in a shoebox more often than not) with deadlines and desperate clients all hoping for at least a little of their hard-earned cash back especially now days so they can cover a few more bills. They take from one group or groups and give to others they feel worthy of their largess. They also like to play their hand at social justice as they did recently in killing jobs for United Solar Ovonic, the manufacturer of solar panels. The Michigan-based company ended up having to lay off 80 employees from its Greenville plant in New York state as those jobs now will be given to some 160 prisoners from Otisville, NY. They can only create jobs by raising taxes in work-make projects (again pay-off to cronies and supporters) or taking jobs from one group and giving them to others more worthy. I guess that’s why the Federal Government has grown and salaries for Federal workers has exploded under Obama. I frankly would rather they concentrate their efforts on keeping terrorists off our airplanes! And forget about Mirandizing the thugs, throw them in the brig and start de-briefing them immediately so we can catch their buddies planning to do the same. Down with the PC crap or surely more will perish. I know you haven’t forgotten all the whining about how the union members shouldn’t be the only ones to be penalized in the recession. Why should they have to suffer pay cuts or get the pink slips? The State budget is not bad enough, they have to waste tax dollars by suing the State to prevent furloughs, pay cuts or layoffs. Now add the 17 furlough days and if you graduated school before the unions took over running the schools you come a grand total of at least 72 days a year the teachers DON’T TEACH. That’s 6 days a month! Is it any bloody wonder Hawaii ranks so high (nearly dead last by all measures) in academic rankings nationwide? Oh, by the way these are the same benefits for all County & State employees in Hawaii. And in Hawaii 24.3% of all employees are union members. 2nd only to New York in the nation according to the Bureau of Labor Statistics. So if you think having union representation is such a good thing for Hawaii (or Michigan; 15% unemployment, or California; 10% unemployment) when CARD CHECK comes around again-and it will you better LISTEN UP. Everyone’s heard how strapped the USPS is and like the State of Hawaii in the choke hold of the unions, they can’t manage laying people off or furloughing them by way of reduced mail delivery days. The Federal Govt is right now pushing to relieve them of the current requirement to prepay into a employee retirement fund. It may seem like an easy way to take the strain off, but what it really does is take US (as in US taxpayers) one step closer to having to fund those retirement benefits when the Postal Service in unable to down the line. But back to my original ire prompting this blog post. I received a certified letter from the County of Hawaii yesterday. Certified requires someone to go to the post office, wait in line, sign up and pay for the Certified Mail service, and pay more if they expect a receipt back. I’m not sure how much the County paid for the service, but the postage alone was $5.54! “SINCE YOUR CASE HAS BEEN SETTLED, YOU DO NOT NEED TO APPEAR BEFORE THE TAX BOARD OF REVIEW”. Then why send the bloody letter!&*%$@! The first letter we received from the very same office a month ago telling us the appeal was successful should have been enough.